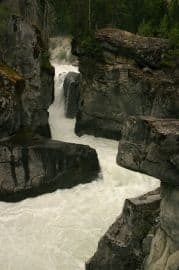 Detailed Description: Nairn Falls Provincial Park near Pemberton, British Columbia, Canada is a great destination to enjoy some time out in nature. The 1.5 kilometre easy-grade, pine needle cushioned trail follows cliff banks of the Green River to the waterfall. The trail does involve good footwork in some areas avoiding exposed boulders and giant tree roots. Some areas of the cliff trail are fenced off, while most of the trail is exposed to the cliff side. There are two lookout platforms at the waterfall. Both are situated on a a large rock outcropping peering down at the falls. The lower lookout provides views of the river and some of the lower portions of the falls. The upper lookout looks up and down the bedrock passages at the falls. 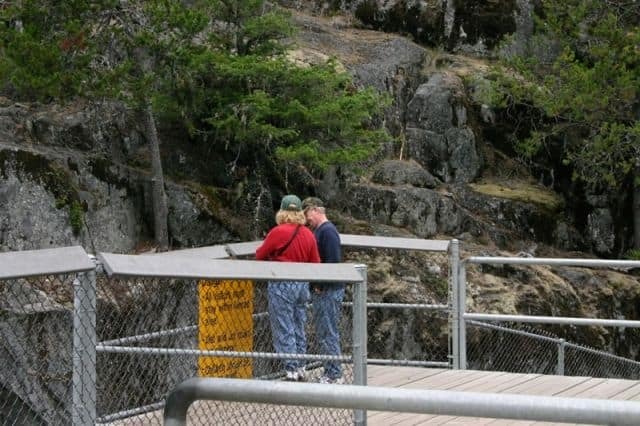 Nairn Falls Provincial Park is an attraction created from the combination of rivers joining together. The Rutherford Creek and Soo River empty into the Green River further up in the mountains creating one powerful surge. The river tumbles its way down the mountainside, reaching a narrow channel of bedrock forming Nairn Falls. The waterfall carves a path crashing down 60 metres (195 feet) through a maze of bedrock. This fast flowing river carries sand and gravel in the current, which form whirlpools carving potholes into the bedrock. Over time underground waterways are formed through the bedrock so, eventually, the river passes underneath through the bedrock passage. Look carefully, where the water wells up, and you can spot some of these underwater passages. 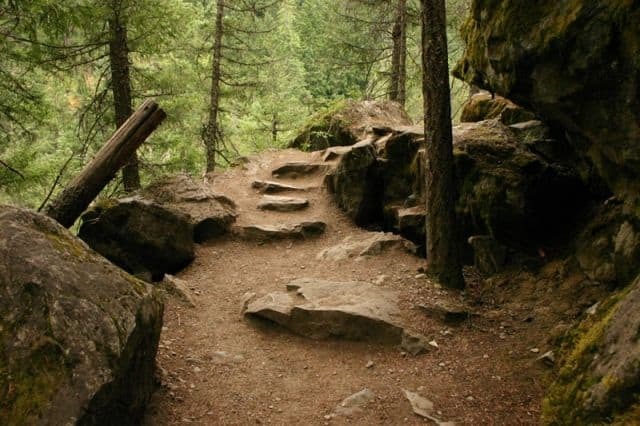 From the Nairn Falls Provincial Park parking lot is a trailhead to One Mile Lake Trail which is about a 2 kilmetre hike north through forest and wetlands to another lake. The hike to the lake is a good opportunity to view birds and other water fowl. 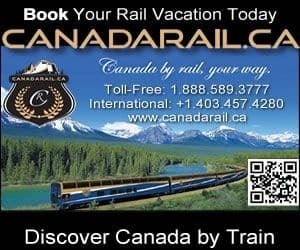 How to Get Here: Travel south of Pemberton, BC, Canada on Hwy 99 (Sea to Sky Highway) for approximately 3 kilometres (2 mi.) to the parking lot of the Nairn Falls Provincial Park.